whether or not they are from the PRC. Chinese culture is not the same as PRC culture. It is complex and diverse, and Chinese students have wide-ranging views on many topics. As a teacher of Chinese students, I am not particularly concerned when my students support the PRC. They have many reasons to do so. But I am extremely concerned when students tell me that they are afraid to criticise China, even in essays, because they are worried that their fellow Chinese students will attack them. Is it fair to make students pay more? 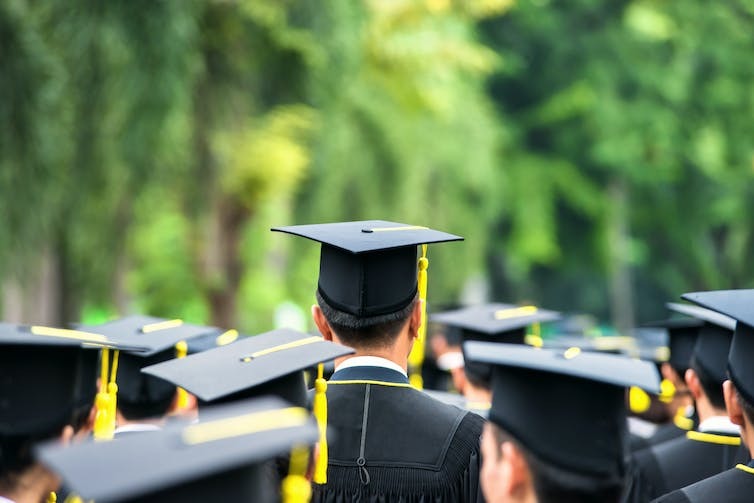 The government’s changes to higher education will put a damaging financial strain on regional universities catering to a different cohort of students, and make it difficult for all universities to deliver to their full economic benefit, vice-chancellors warn. In the 2017 Budget announced yesterday, students will pay up to A$3,600 more for a four year degree, and universities will face cuts of around $2.8 billion over the next five years, starting in 2018. Students will also have to start paying back their loans when they earn $42,000. The current threshold is around $55,000. CDU has a responsibility that few Australian universities carry. Our home base of the Northern Territory covers almost one-sixth of the continent and we service large numbers of low socio-economic, first-in-family and regionally disadvantaged students. Our largest cohort of students is mature age, studying online throughout Australia. These students invariably carry family, financial and other responsibilities. They take up to ten years to complete a three-year degree and study part-time while working full-time. Adding to the cost of their education seems counter intuitive when Australia is pursuing an agenda of economic stimulation through improving innovation, and engaging the knowledge economy. Universities also face funding cuts to teaching of around $384.2 million over two years (2018 and 2019). This will come in the form of a 2.5% “efficacy dividend” to the Commonwealth Grant Scheme (CGS). This essentially means universities will have to do more with less funding. Not only do we need to find ways to continue to deliver high-quality education to our on-campus and large online student populations, we also need to continue to do more to develop the Territory and Northern Australia with even fewer resources. Now that’s a challenge. The government also plans to introduce “performance” funding. This means universities will have to compete for a pool of funding, which is 7.5% of higher education CGS, and so will no longer be a predictable source of income for universities. But at present it isn’t clear how the this will be assessed and allocated. Education is Australia’s third largest export. A recent Deloitte report showed that universities contributed around $25 billion to the Australian economy in 2013, accounting for over 1.5% of GDP and 160,000 full-time jobs. The goverment’s decision to cut higher education expenditure was “short-sighted” said Ian Jacobs, vice-chancellor of the University of New South Wales. The proposed cuts will inevitably impact on the discovery-application pipeline, with negative economic consequences, at a time when investment in research innovation has the potential to diversify and grow the economy. Our global competitors, notably China, are investing heavily in higher education for just this reason, with millions of students enrolled in subjects like mathematics, sciences, computing and engineering. They understand that education and the major institutions providing it are generational assets, embedded deeply in the social, cultural, and economic machinery of the nation. The government needs to recognise this, and invest in the economic benefit that outstanding research can deliver, instead of cutting funding to the sector.